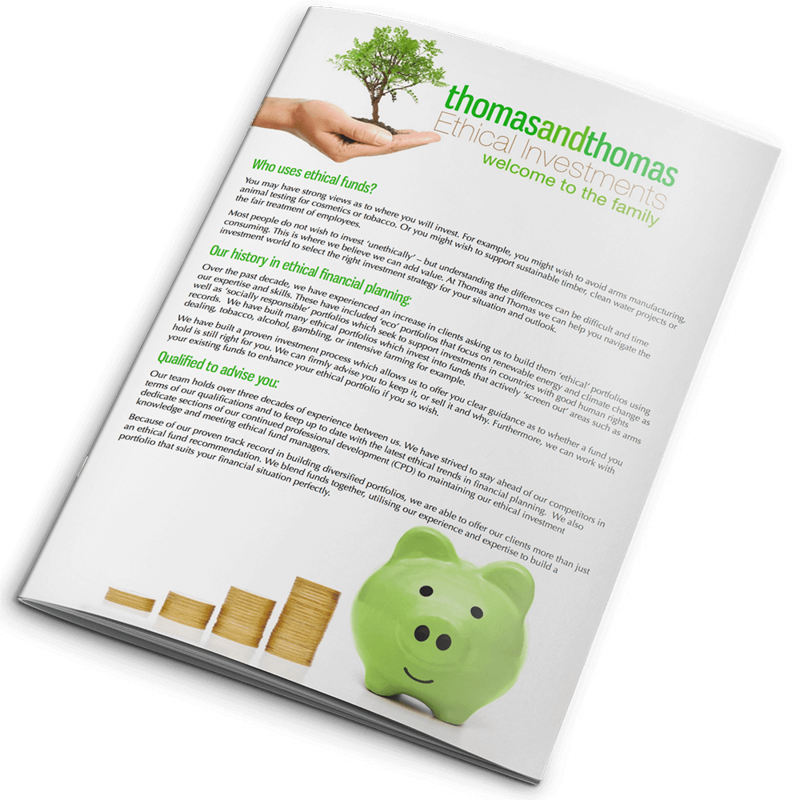 At Thomas and Thomas we have over a decade of experience in building ethical portfolios for our clients. During this time we have applied our skills in financial planning to clients ethical mandates. Whether you are looking to protect the environment or support companies who behave responsibly towards society, we are set up to help you achieve your goals. At Thomas and Thomas Ethical Investments we only use recycled paper, we treat our staff ethically, we offer Skype meetings instead of travelling if appropriate and we recycle all of our non-confidential office waste. We offer ethical investments to every client and we don’t charge existing mainstream investment clients to switch to ethical. Unsure about ethical investments? Try our mainstream offering.